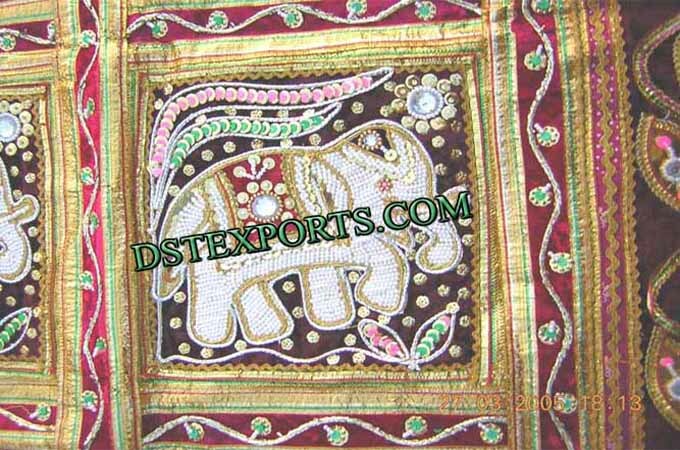 Decorated Horse Costumes DST Exports is leading and best manufacturer of Wedding Horse Drawn Carriages, wedding mandaps, wooden mandaps, wedding stages, wedding furniture, wedding swings, wedding dolis, backdrop curtains, backdrop fibre panels, wedding decoration items and all wedding items in India. DST Exports is exporter of wedding mandaps, wooden mandaps, wedding stages, wedding furniture, wedding swings, wedding dolis, backdrop curtains, backdrop fibre panels, wedding decoration items and all wedding items from India to all over world like some major countries USA , Canada , UK , Fiji , France , Germany , Netherlands , South Africa , West indies , Nigeria and many more other countries. �Decorated Horse Costumes We are original manufacturers and exporters of any / all type of Horse Drawn Carriages such as Cinderella Horse Carriage Vice Versa Horse Carriage Two Seater Horse Carriage Victoria Horse Carriage Surrey Carriage Passenger Tourist Carriage Multi Purpose Carriage Horse Drawn Landau Horse Drawn Surries Horse Drawn Hearses Funeral Carriage Atm Fitted Vending machines fitted carriages Horse Drawn Carriage Pleasurable Room Type Gipsy Caravan Carriage Horse Drawn Gigs Horse Drawn Mini Sleighs Glass Coach Type Horse Drawn Carriage Phaetons Traditional baggies / Tangas to Victoria type Vice Versa Covered Room Type Horse Carriages Bhugghies Air conditioner buggies Passengers horse drawn wooden horse carriages wooden hand carved Classical Carriages carriage Horse Carriage carts Royal Glass Coaches Presidents Presidential Carriages Guard of Honor Republic Day Celebration Carriages Wedding Purpose Carriage School going kids Transportation purpose carriages Religious Priests Bagghies Procession Carriages Advertisement purpose double horse drawn carriages We also supplied Horse Carriage Decorations and accessories such as horse belts,carriages lamps etc so please feel free to contact us and give us chance to serve you the best .